This easy-to-use reference tool is available in electronic form — which updates as tax laws change — and in hardcopy. Segmented into common areas of interest such as Income & Deductions, Family & Education, Business, Retirement, and Estate Planning, the Planner provides insights on tax traps and approaches that you may want to explore further. To clarify seemingly complex concepts, the Planner presents real world examples through case studies that help to ensure greater understanding. State and Local Tax Deduction – New Limits: For 2018–2025, your entire deduction for state and local taxes — including property tax and either income or sales tax — is limited to $10,000 ($5,000 if you’re married filing separately). Mortgage Interest Deduction – New Limits: You generally can deduct interest on mortgage debt incurred to purchase, build or improve your principal residence and a second residence. Points paid related to your principal residence also may be deductible. For 2018–2025, the TCJA reduces the mortgage debt limit from $1 million to $750,000 for debt incurred after Dec. 15, 2017, with some limited exceptions. Home Equity Debt Interest Deduction – New Limits: Before the TCJA, interest was deductible on up to $100,000 of home equity debt used for any purpose, such as to pay off credit cards (for which interest isn’t deductible). The TCJA effectively limits the home equity interest deduction for 2018–2025 to debt that would qualify for the home mortgage interest deduction. Alternative Minimum Tax – Enhancement: The TCJA substantially increases the AMT exemptions for 2018–2025. Combined with other TCJA changes, the result is that very few taxpayers will be at AMT risk. Your Berdon tax advisor can help you determine if you’re among the small number of taxpayers who need to plan for the AMT. Moving Expenses: This deduction for work-related moving expenses is suspended for 2018–2025, except for active-duty members of the Armed Forces (and their spouses or dependents) who move because of a military order that calls for a permanent. Qualified Opportunity Zones – New Incentive: The TCJA added this provision to encourage investing in low-income and rural communities. For details on how to leverage the advantages of Opportunity Zones, view our article: Qualified Opportunity Zones – Invest in Low-Income Communities. Section 179 Expensing Election – Enhancement: This allows you to deduct (rather than depreciate over a number of years) the cost of purchasing eligible new or used assets, such as equipment, furniture, off-the-shelf computer software, and qualified improvement property — a definition expanded by the TCJA from leasehold-improvement, restaurant and retail-improvement property. The TCJA also allows Section 179 expensing for certain depreciable tangible personal property used predominantly to furnish lodging and for the following improvements to nonresidential real property: roofs, HVAC equipment, fire protection and alarm systems, and security systems. 100% Bonus Depreciation – Enhancement: This additional first-year depreciation is available for qualified assets, which include new tangible property with a recovery period of 20 years or less (such as office furniture and equipment), off-the-shelf computer software, and water utility property. Important Note: Due to a drafting error in the TCJA, qualified improvement property will be eligible for bonus depreciation only if a technical correction is issued, which is expected. New Deduction for Pass-through Businesses: For tax years starting in 2018–2025, the TCJA creates a new deduction for owners of pass-through business entities, such as sole proprietorships, partnerships, S corporations and limited liability companies (LLCs) that are treated as sole proprietorships, partnerships or S corporations for tax purposes. Note: There are a number of exceptions — law firms, financial services, among others — that do not qualify. 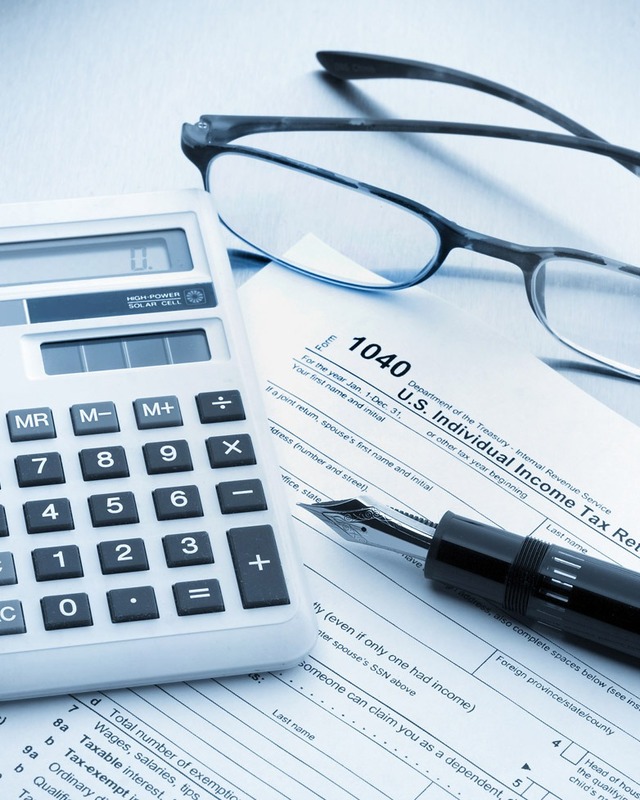 The deduction generally equals 20% of qualified business income (QBI), subject to limitations that can begin to apply if taxable income exceeds the applicable threshold — $157,500 or, if married filing jointly, $315,000. The limits fully apply when taxable income exceeds $207,500 and $415,000, respectively. Limits to Interest Expense Deduction: For tax years that begin in 2018 or later, businesses generally cannot deduct interest expenses in excess of 30% of adjusted taxable income. Taxpayers (other than tax shelters) with average annual gross receipts of $25 million or less for the three previous tax years are exempt from the interest deduction limitation. Excess Business Losses: For tax years beginning in 2018-2025, a new limit applies to deductions for current-year business losses incurred by noncorporate taxpayers. These losses generally cannot offset more than $250,000 in income, interest, dividends, and capital gains. The limit is $500,000 for a married couple filing jointly. Disallowed losses are carried forward to later tax years and can then be deducted under the NOL rules. 1031 “Like-kind” Exchanges: Starting in 2018, generally there are no more tax-deferred like-kind exchanges for personal property assets; only real estate qualifies. New Family Medical Leave Credit: For 2018 and 2019, the TCJA creates a tax credit for qualifying employers that begin providing paid family and medical leave to their employees. The credit is equal to a minimum of 12.5% of the employee’s wages paid during that leave (up to 12 weeks per year) and can be as much as 25% of wages paid. Ordinary paid leave that employees are already entitled to doesn’t qualify. Additional rules and limits apply. Berdon’s 2018-19 Tax Planning Guide is your resource for ideas and tax savings opportunities. When you discover a point that you want to explore further, contact your Berdon advisor to see if it may fit into your personal circumstances. Follow the links below to view or request a hardcopy of the tax planner.